Your Smartphone dropping in water doesn’t mean the end of it. 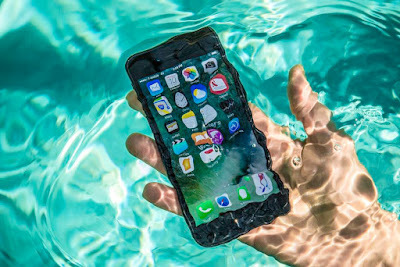 Although Smartphones are not waterproofed, you can still rescue it. The most important thing is that you should apply these tips to save your phone. It is no gainsaying that water and phones are enemies. Mr. Water is always happy to destroy your phone. There are different ways to dry your phone. The first one that comes to mind is the sun. But there are other ways. You can use a vacuum, or use uncooked rice. Using uncooked rice is the fastest option to dry your phone. The rice will soak the moisture and dry your phone. Your phone should power on. If it doesn’t power on, you should charge it. If it still doesn’t power on, you can leave it for a day or two. This will help the phone to fully recover and power on.